I am fairly new to the whole foundation wearing on a regular basis thing. As a busy Mum it was one thing I could just not be bothered with. However, I do wear it every day now. The reason is that I wear sunscreen daily and I use the foundation to counteract the white cast my very high SPF sunscreen leaves. One pump of foundation into the sunscreen, mixed on the back of my hand applied with brush. Job done and no weird pale face. 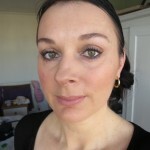 My foundation of choice at the moment is No7 Lift and Luminate in Cool Ivory and I love it. When I saw No7 had just launched a new long wear foundation with the same colour spectrum I was intrigued. First off one of the best things about buying a No7 foundation is the colour matching service. They use a funky little device to read your skin colour and then tell you which of the foundation colours will suit you best. It takes all of the horrible guess work out of choosing your foundation. So down to the Boots No7 Stay Perfect Superlight Foundation. I did not use any sunscreen for this test. Just the foundation. The product was easy to apply and gave very good coverage though you will still need to conceal noticeable imperfections. What it did wonderfully was even out my skin tone; as you can see in the before and after photos below. And the texture is lovely. It passed the magnifying mirror test with flying colours as well. The foundation dried to a pleasant velvety finish but still had a tiny bit of luminosity. And did it last? You betcha. It did not budge my whole busy day. I had it on for 11 hours. I didn’t want to test the 24 hour claim as I don’t like sleeping in my makeup. So if you are after a foundation that is going to last from 6 in the morning until 11 at night without a touch up then this is the one. I have very sensitive and extremely dry skin. This product did not irritate my skin in the slightest. I did know I was wearing it however. When the foundation had dried and set I could feel a certain ‘tightness’ on my skin. Would I buy it? Yes, definitely. But it is not one I would wear daily because I could feel that tightness. Having said that I would love to hear from those with normal to oily skins who have tried this product to see if they experience this feeling. For me the foundation would be perfect for special occasions or for those days that I know I need a foundation that is going to last the distance without touching up. Or for hot climates actually, as I don’t think it would budge even then. 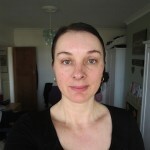 Just a note, the colour I am wearing in the photos has not been matched to my skin colour as it is a provided sample. 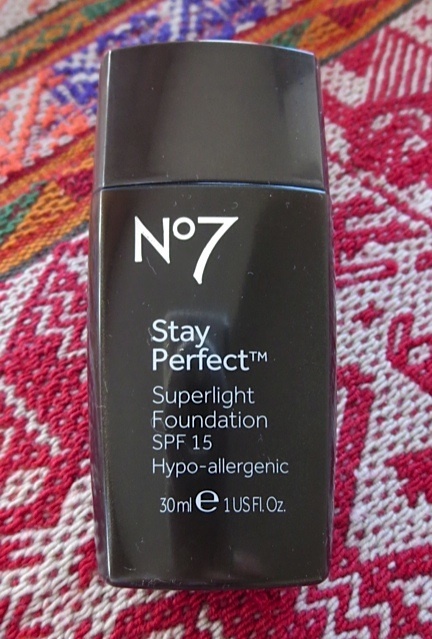 Boots No7 Stay Perfect Superlight Foundation is available through Boots and is £14.50 for 30ml. 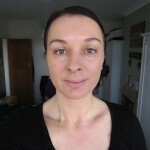 This entry was posted in Make Up, Review and tagged Boots No7 Stay Perfect Superlight Foundation, lisa eldridge, makeup by Mamasim. Bookmark the permalink. I will definitely get this. Will pick this one up for the summer. I think it would be really good for the summer heat Tanya. So glad Lisa. Well worth a purchase I think. Been looking for a good long lasting foundation. Will give this one a try. Thanks for the recommendation Mamasim. Hi, will definitely give it a go. The color looks good on you even though it is not matched. Thanks Nic, I thought so too. Now will give it a try. Thankyou Mamasim. I have tried this and have not had any tightness but my skin is not dry. I really liked it. Oh great. Thanks for the comment Julie. You look lovely in the photo. Thanks for the post. I am going to a wedding in Spain in May so will try this foundation. Thank you Alison, you have made my day! I don’t thinks so Melsmom. I’m sure boots.com could let you know for sure however.